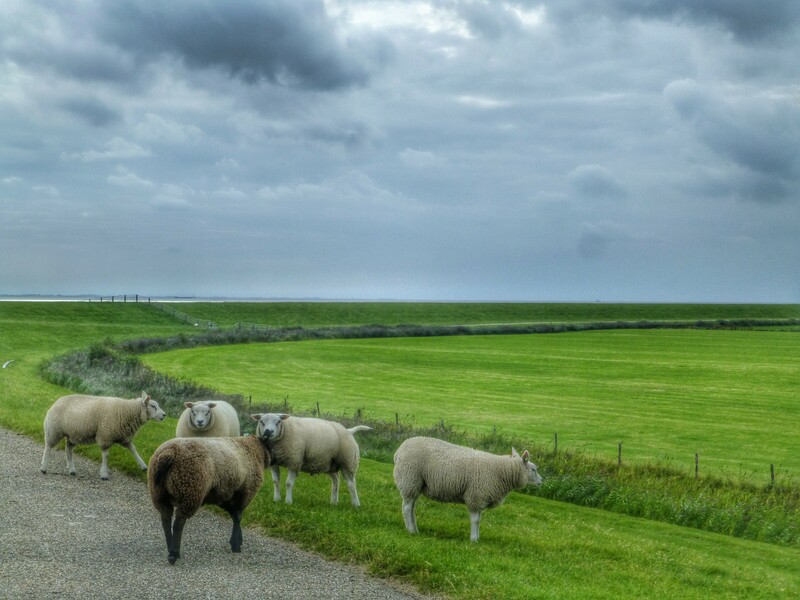 In Holland you have the Waddensea that is in between the Dutch Islands and the mainland. 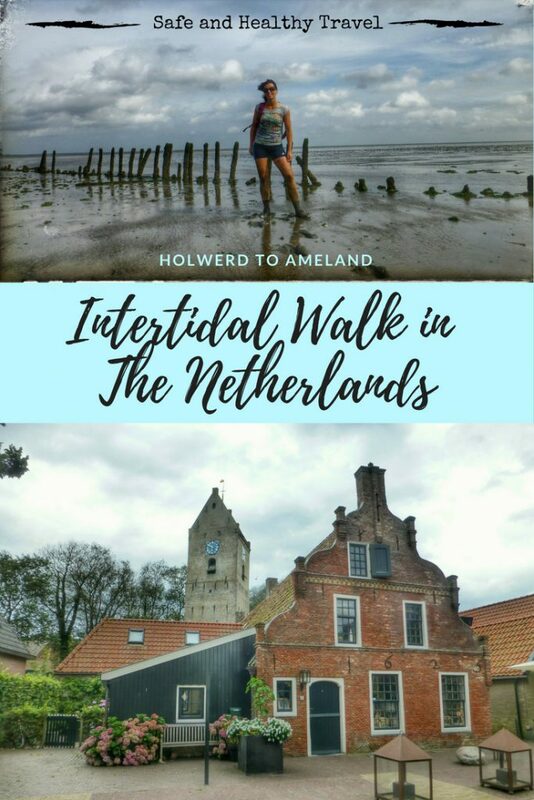 Because of the low and high tides you have the intertidal periods in a day that you can just walk across the Waddensea to one of the islands. This area is an UNESCO worldheritage site because of its richness on biological diversity and so it is a protected area. 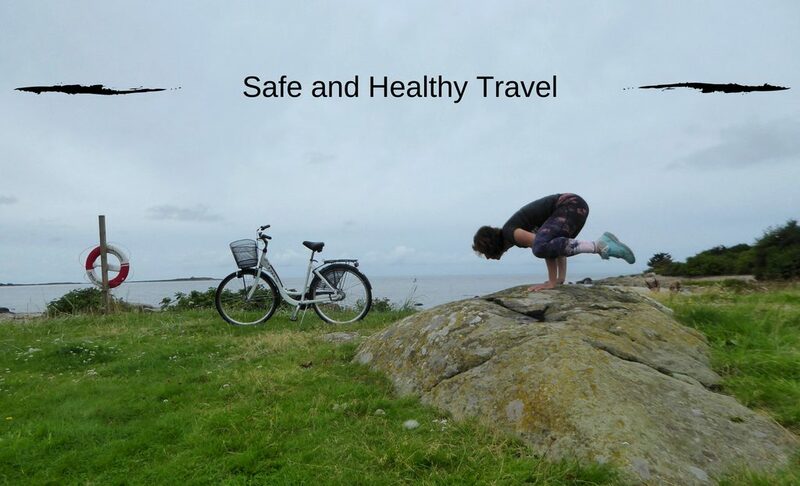 If you want a Healthy Trip in your Travel you should definitely take this one!! I heard a lot about it but had never done that myself. Now finally I would go walk it too, it was a trip arranged by my work. 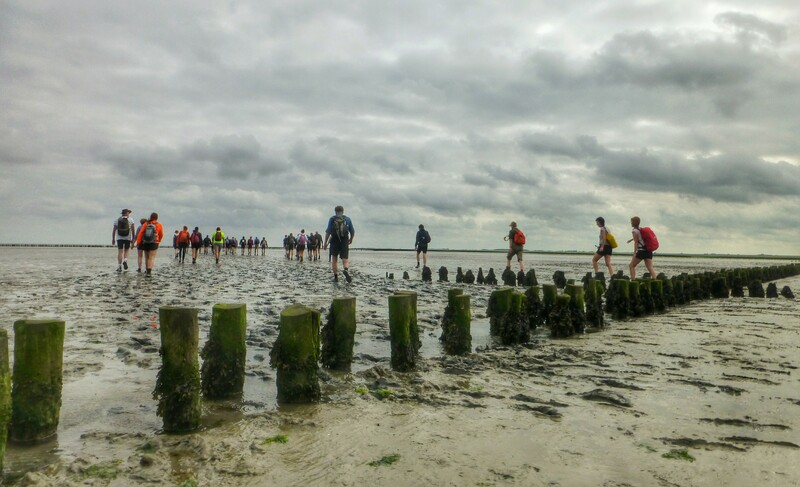 With a whole busload of people we left for Holwerd, Friesland, where the starting point of this intertidal Waddensea walk is. The tour is about 11K and will take you approximately 3.5 hrs. 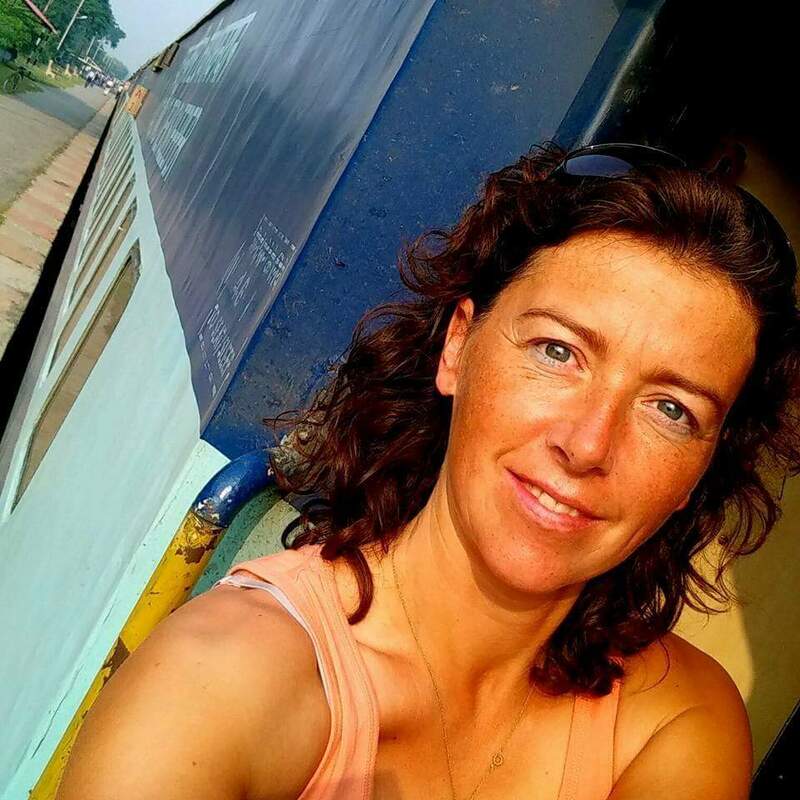 It is a medium heavy tour and you need to have a good condition to take this tour. It can happen that the water is deep and you will experience more mud then another time. It all has to do with weatherconditions. 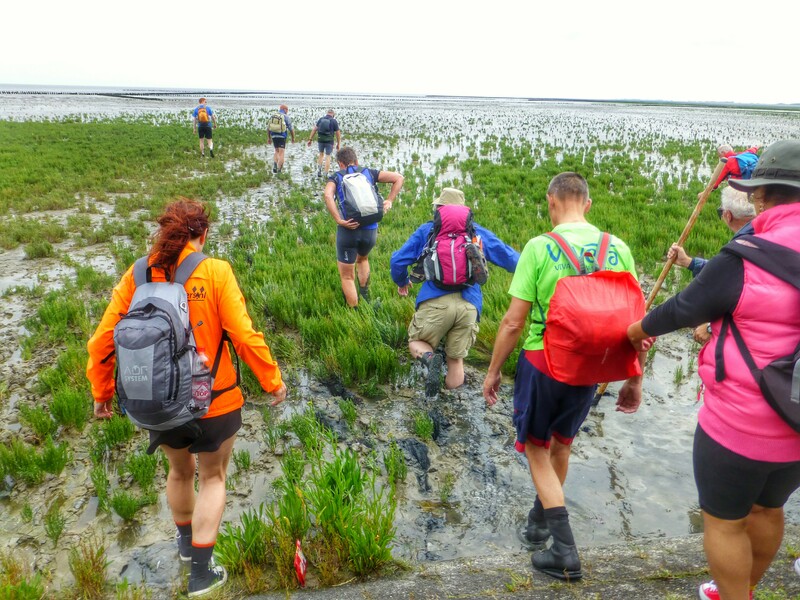 When we were half way down the tour it got real deep and I went into the mud untill my knees and under seawater untill my waist. I felt my shoes getting sucked into the mud and while getting one foot out, the other one slipped in deeper. You can really get stuck in there and we needed to help eachother to get out again. With the first steps you feel uneasy, it feels really strange. You just get of the clean road and step into the dirt. With your nice and clean shoes right in to the dirty and stinky sea mud. At first you don’t sink in to much but at some point you start to feel your feet getting wet. After a while you feel some mud, you start to feel sand between your toes. And at some point you even feel little pieces of shell in your shoe. It is of importance that you put on shoes that close high around your ancle because that prefends a lot of mud and shells coming into your shoes. You have to walk for more then 3 hours and you can not sit down and get off your shoe to get it out. 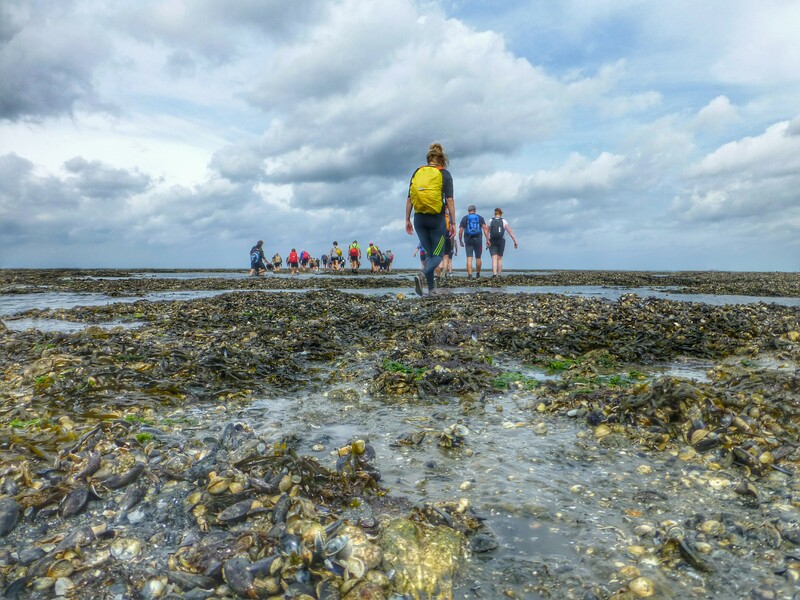 It is Intertidal but You’ll get Dirty! When we were halfway down the tour it was getting really heavy. 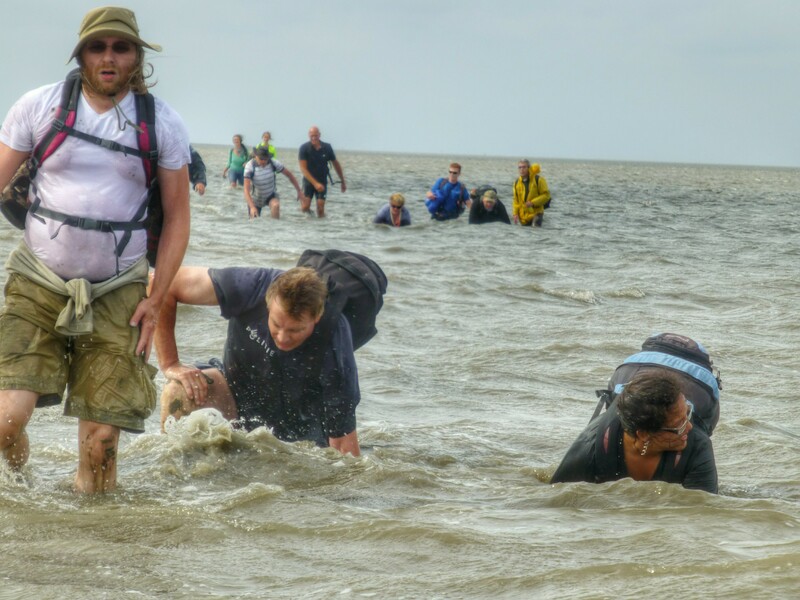 I got down to my waist in water, which means that I was untill my knees in the mud! You can really can get stuck in there! I really felt my shoe being sucked in the mud when I tried to get it out. And when I tried to get one foot out…the other got sucked in deeper. You really need to help eachother get out and to keep your balance. Some parts are deep, even in the Intertidal Part of the Day! 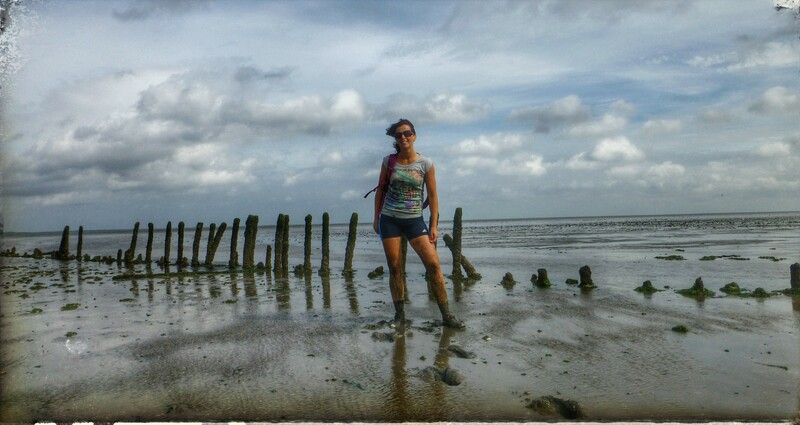 You of course get some hilaric moments standing there, stuck in the mud, but still I was scared to fall backwards or forward into the seawater and mud with my ruckzack on my back. I still had some clean and dry clothes in there. I did put them in a plastic bag ofcourse, but still you don’t want your bag to get totally wet and dirty. At the end of the walk there is a farm that provides watertaps to clean yourself and your shoes and clothes. There is a shared building/barn where you can change your clothes. Before you get there you need to walk for almost 2K to get there, but your walking through great landscapes!! 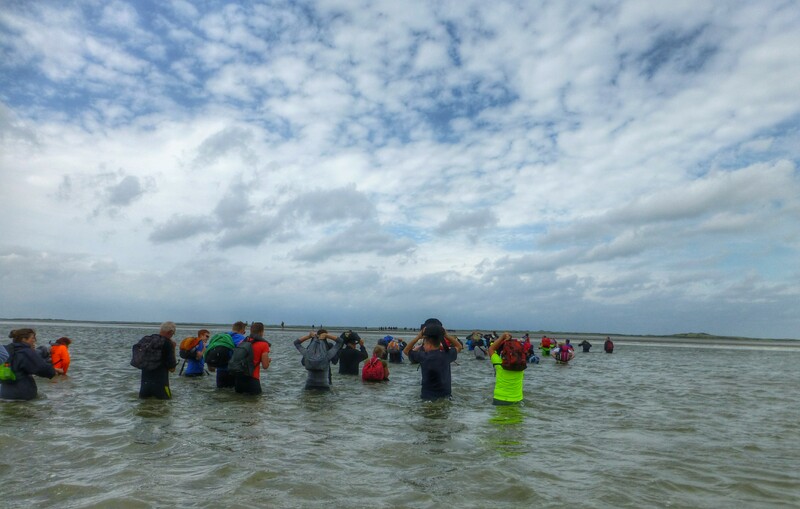 The average price of a Waddensea Intertidal Walk is around 20 – 30 euro. You can book them online and there you will see also if tours/days are good for walking or if the are cancelled. It really depends on the weather if it is good to walk. Planning far ahead with no badckup plan is not a good idea. If you want to make sure you can walk you should be able to have the ability to switch days. Do take some clean and dry clothes with you. You need to put them in another plastic bag in your rucksack. If you do fall, or need to crawl, the clothes are still dry when you get to the island. Your camera and phone and other valuables that can’t stand water need to be in a plastic bag also. There is a big chance you get wet after all. Along the way there are different stops. You need to use these to eat and drink something. It’s not just walking, you really need to work on getting there and therefor you use a lot of energy. You need to regularly fill this to prefend you hit the wall and are to low on energy. You’ll need that to get to the other side. 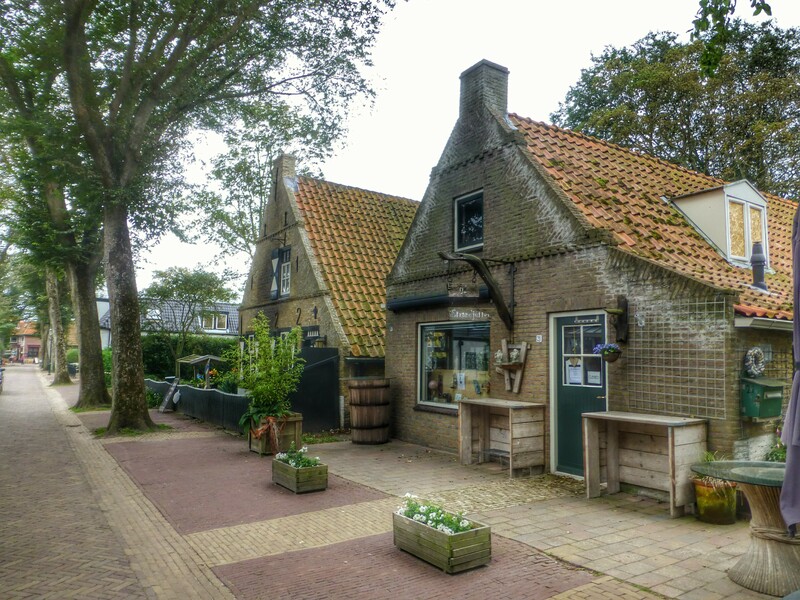 Ameland is also a great small island to wander around. 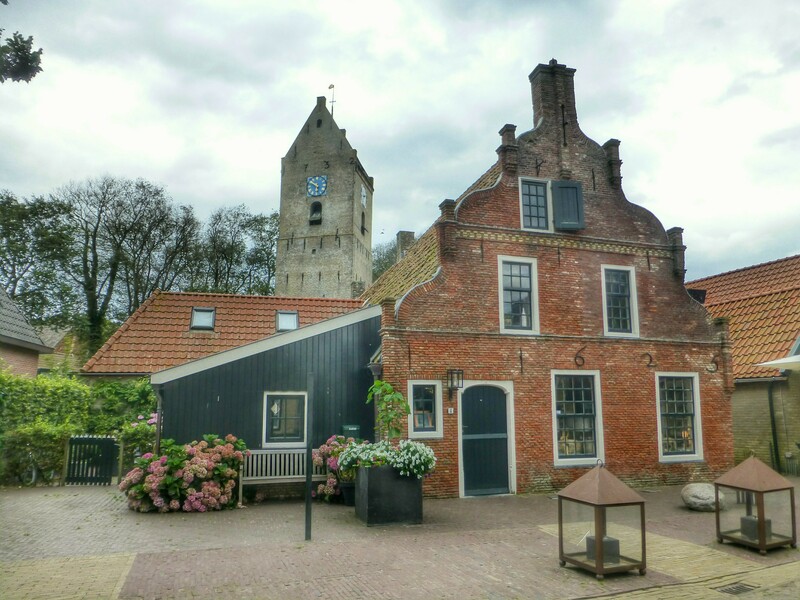 We entered the village of Nes and had something to drink and eat, what was really necessary! It is a lovely small fishermen’s village, great to walk around and shop. If you liked this post you would make me happy too by sharing it!! Hello! I simply would like to give a huge thumbs up for the great info you’ve gotten right here on this post. I can be coming back to your weblog for more soon.